We need to let federal parliamentarians know that the demolition of Anzac Hall can’t happen. Can you add your name to the petition calling on all Senators and Members of the House of Representatives to stop this demolition. The Australian War Memorial is hell-bent on demolishing Anzac Hall, which is at the rear of the main building, as part of its extravagant $500 million redevelopment plans. We understand the War Memorial needs to expand. But seriously why does the War Memorial need to demolish this fit-for-purpose, award-winning building which cost Australian taxpayers $11.3 million to build and is only 17 years old? Surely there were other more sustainable options for expansion which don’t involve demolition and building from new? What’s really worrying is this whole project is being conducted without adequate consultation and the proper processes being followed. As citizens you need to be asking those responsible for the War Memorial, why you haven’t been consulted about the demolition of this significant public building. And who has given approval for the building to be demolished? We’re certainly asking these questions. No approvals have been given by the National Capital Authority nor the Parliamentary Public Works Committee for the design nor for the demolition of Anzac Hall. There has been no referral under the Environment Protection and Biodiversity Conservation Act 1999 to ensure that the proposed use does not have a significant impact on heritage values. As architects, we are passionate about preserving Australia’s heritage and honouring our national history, nowhere more so than the extraordinary service and sacrifice of the servicemen and women. Destroying such an investment – of effort, culture, and family memories – is a waste and mark of disrespect. 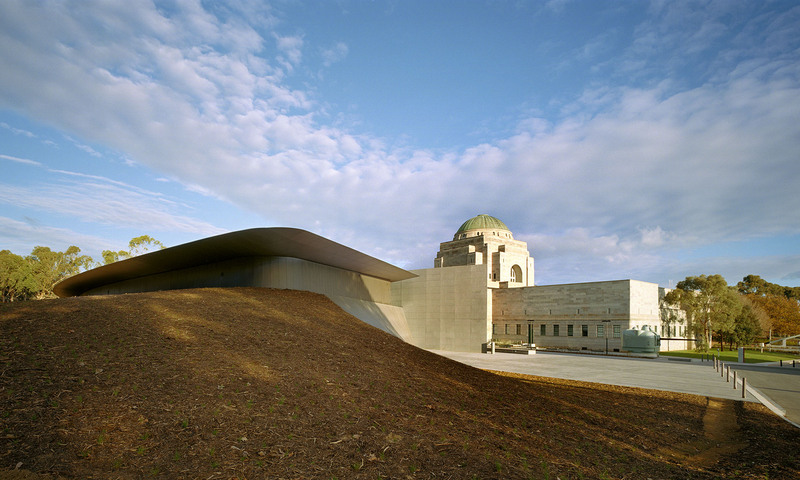 The Australian War Memorial is one of our nation’s most significant monuments. The site’s custodians have a duty to discuss any significant changes planned with the community and professional bodies such as the Australian Institute of Architects. The Australian War Memorial has announced that Anzac Hall will be demolished as part of its $500 M expansion plans. There has been little transparency in the process to date and we have seen no evidence that demolition is needed. No approvals have been given by the National Capital Authority nor the Parliamentary Public Works Committee for the design nor for the demolition of Anzac Hall. There has been no referral under the Environment Protection and Biodiversity Conservation Act 1999 to ensure that the proposed use does not have a significant impact on heritage values. The Australian War Memorial is one of our nation’s most significant monuments and a site of immense pride and emotion for the entire Australian community, particularly so for veterans and their families. We support the expansion of the War Memorial to honour the extraordinary service and sacrifice of servicemen and women. However, we must put an end to the pattern emerging that treats major public works such as Anzac Hall as somehow disposable. Destroying such an investment - of effort and culture - is a waste and mark of disrespect. It is incomprehensible that in planning what would otherwise be a welcome addition to the War Memorial, so little regard has been shown for the cultural significance of Anzac Hall, which is a national landmark and much-loved exhibition space. 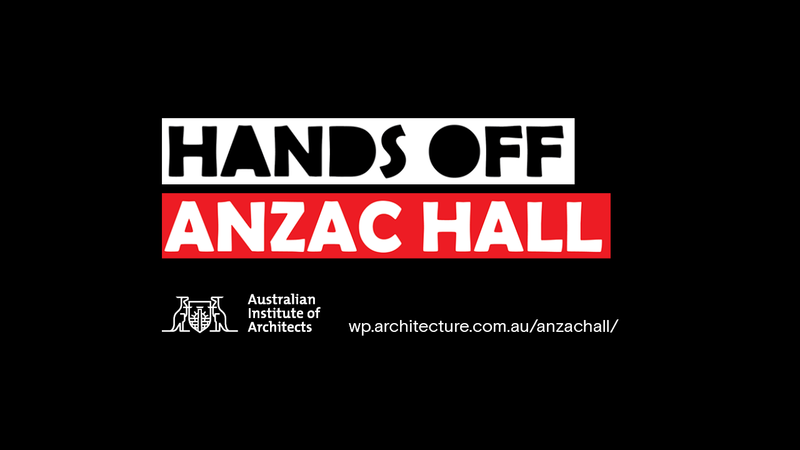 We call on all federal parliamentarians to not let the demolition of Anzac Hall go ahead.